I’m busy writing the content for this year’s Zero Waste Week. You ARE signed up, right? This year’s theme is ‘reuse’ and I’ve been thinking about paper and cardboard. 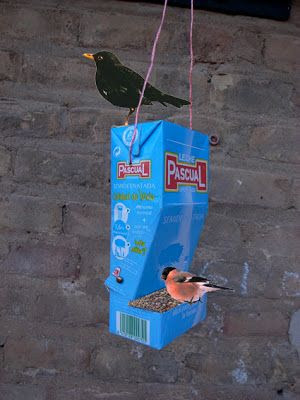 It struck me what a fantastic material Tetra Pak cartons are for reusing. Many people don’t like them, believing they are difficult to recycle, but nothing could be further from the truth. Yes, they are composite material (7 layers to be precise) but they are easily reprocessed AND the cartons are surprisingly eco-friendly too. The seven layers are made up of 73% paperboard. 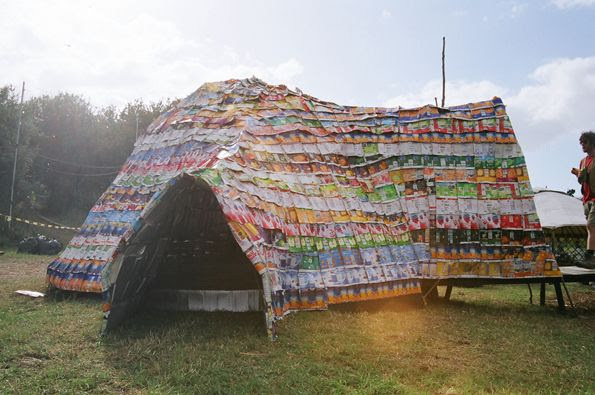 When cartons are recycled, the paperboard is recovered to produce strong cardboard which is used to produce packaging used by manufacturing industry, such as cardboard tubes and cores. These are effectively like giant kitchen roll tubes – similar to the type of thing you will see carpets wrapped around in a carpet shop. The other materials are aluminium and polyethylene. These two products are currently being stored until the company work out the best methods of recycling / reprocessing. At the moment a whopping 91% of local authorities offer carton recycling, while 57% of the total of local authorities collect cartons from peoples homes at the kerbside. Hungry for more? 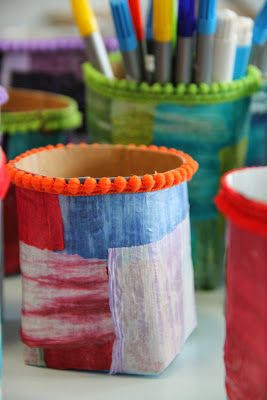 Grab some upcycling ideas from my Pinterest Board. And please share your ideas. 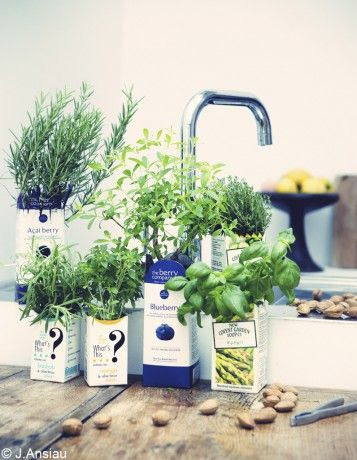 What do you (re)use Tetra Pak cartons for? 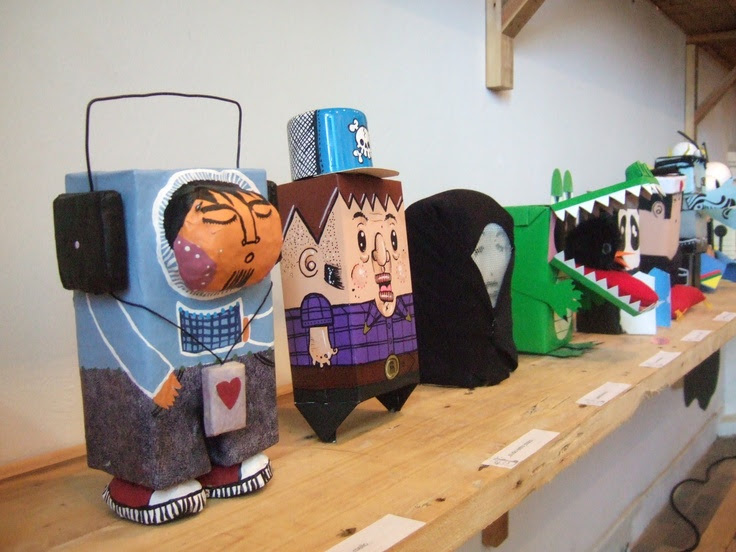 I have never seen tetra pak cartons recycled as cartoon characters like this. So cute! I think that is a wonderful idea for moms and also for teachers who would want to talk to kids about recycling! Thanks for your comment Iva and I’m so glad it’s provided some inspiration! Nice ideas, but why buy tetra packs in the first place? 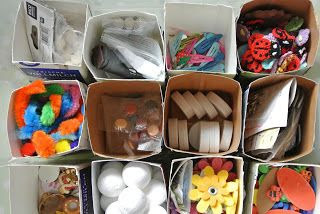 How much energy, oil, aluminium and chemicals do you think go into producing this kind of packaging? It’s not just about recycling, it’s about avoiding using so much of our precious resources. Can you buy juice and milk in glass bottles? Here in Germany, where I live, I can, even in supermarkets. How about the whole food shops, organic shops? How is the various materials devided into cardboard, aluminium and polyethylene ?. Is there used any solvents to seperate the different materials? Despite its widespread occurrence in nature, aluminium has no known function in biology. Aluminium salts are remarkably nontoxic, aluminium sulfate having an LD50 of 6207 mg/kg (oral, mouse), which corresponds to 500 grams for an 80 kg (180 lb) person. The extremely low acute toxicity notwithstanding, the health effects of aluminium are of interest in view of the widespread occurrence of the element in the environment and in commerce. Some toxicity can be traced to deposition in bone and the central nervous system, which is particularly increased in patients with reduced renal function. Because aluminium competes with calcium for absorption, increased amounts of dietary aluminium may contribute to the reduced skeletal mineralization (osteopenia) observed in preterm infants and infants with growth retardation. In very high doses, aluminium is associated with altered function of the blood–brain barrier. A small percentage of people are allergic to aluminium and experience contact dermatitis, digestive disorders, vomiting or other symptoms upon contact or ingestion of products containing aluminium, such as antiperspirants and antacids. In those without allergies, aluminium is not as toxic as heavy metals, but there is evidence of some toxicity if it is consumed in amounts greater than 40 mg/day per kg of body mass. Although the use of aluminium cookware has not been shown to lead to aluminium toxicity in general, excessive consumption of antacids containing aluminium compounds and excessive use of aluminium-containing antiperspirants provide more significant exposure levels. Studies have shown that consumption of acidic foods or liquids with aluminium significantly increases aluminium absorption, and maltol has been shown to increase the accumulation of aluminium in nervous and osseous tissue. Furthermore, aluminium increases estrogen-related gene expression in human breast cancer cells cultured in the laboratory. The estrogen-like effects of these salts have led to their classification as a metalloestrogen. The effects of aluminium in antiperspirants have been examined over the course of decades with little evidence of skin irritation. Nonetheless, its occurrence in antiperspirants, dyes (such as aluminium lake), and food additives has caused concern. Although there is little evidence that normal exposure to aluminium presents a risk to healthy adults, some studies point to risks associated with increased exposure to the metal. Aluminium in food may be absorbed more than aluminium from water. It is classified as a non-carcinogen by the US Department of Health and Human Services. In case of suspected sudden intake of a large amount of aluminium, deferoxamine mesylate may be given to help eliminate it from the body by chelation. Aluminium has controversially been implicated as a factor in Alzheimer’s disease. According to the Alzheimer’s Society, the medical and scientific opinion is that studies have not convincingly demonstrated a causal relationship between aluminium and Alzheimer’s disease. Nevertheless, some studies, such as those on the PAQUID cohort, cite aluminium exposure as a risk factor for Alzheimer’s disease. Some brain plaques have been found to contain increased levels of the metal. Research in this area has been inconclusive; aluminium accumulation may be a consequence of the disease rather than a causal agent. A new study, dated Feb 5 2015, links the brain translocation of alum particles to a Trojan horse mechanism, that obeys to CCL2, signaling the major inflammatory monocyte chemoattractant.